Since the dawn of humanity people have tried to dig natural resources from down under, from the Underworld. Trying to find gems, gold and rare metals, the search for those valuable objects drove people insane. But between the rubbles of material things, underneath the layers of dust and mud, you can find something much more precious. This magical treasure is not something you can see, it's made of melodic vibrations, a unique combination of sounds that no human on earth can resist, an Invisible Reality. 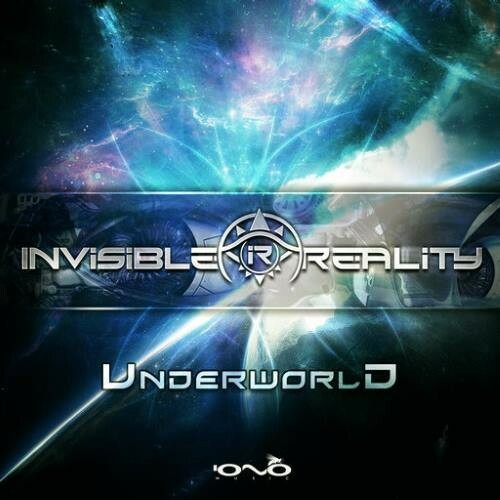 After several years where they absorbed new techniques, new sound technologies and creative inspiration, it is time for Invisible Reality, aka Shamil Abramov and Igor Sorin, to unleash their third album 'Underworld'. Abramov and Sorin began their musical venture back in 2002 in Israel, and have developed and fine tuned their work to become one of the leading figures in the Progressive Psy scene. Their sonic evolution can be viewed from their debut album in 2009 Visibility and then their second album in 2011 Parallel Fantasy. Add their EPs Spiritual Ritual from 2009 and others such as Creation from 2014 to repertoire and you can hear how they progressed and are always one step ahead of everyone. The way to the Underworld is paved through Soft Bites into the ground with the help of Space Hypnose. Quite quickly you will feel Fortunated, a sensation accelerated by Klopfgeister. Consequently, the first thing you will want to do is Dance with Me, because you will be guided by Uncontrollable Thoughts. This turbulence of senses will show you the Truth, just like Ritmo foresaw it, but with a new twist. Digging the earth to bring to the surface a new Creation is just what this journey is all about, to expose the Underworld. This unraveling process might create a feeling as if you are Lost in Memory, but this is only momentary. The big change you will ultimately feel is a whole transformation in your Body Frequency that will make new electric connections in yourbody and your brain. This will no longer be an Invisible Reality, it will be a new sonic reality.